Jordan and Israel should be on anyone’s wish list. For those scared about the security situation in the Middle East, these countries offer you a higher level of security than other parts of the Middle East. Jordan should be on everyone’s wish list. If you want to experience more of the city environment in Jordan, you should then check out the capital of Amman. The Dead Sea is the lowest point in the world at 394.6 m (1269 ft) below sea level. You can visit the Dead Sea either in Jordan or Israel. On the eastern side of the Dead Sea is Wadi Mujib. You can hike in this narrow canyon on the Siq Trail. It is a 2km trail and takes most people 2 – 3 hours to complete. If you really want to do it at a slow pace, it is more likely a four hour adventure. In either case, I think it would be great way to enhance your experience to the Dead Sea. Tips from users are to wear steady shoes (you will be walking on rocks) and bring a dry pair of clothes. There is a very basic changing room. You can reach her from a day trip from Amman (75 km away) or simply when you’re visiting the Dead Sea. It costs 16 JD ($20 USD) for entry to the park. This park is still not that discovered but Jordan is investing a lot in the area. You will need to have a rental car or hire a taxi to reach the location. Note: If you are heading into Israel at this locatin, I would also suggest trying to see Masada for a great ariel view. If you are visiting the Dead Sea from the Israeli side, this might be the must see location at the River. 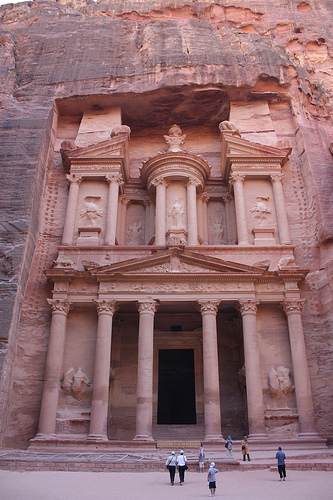 Petra was the capital of the Nabataean kingdom around 6th century BC. It received lots of notoriety in the movie – Indiana Jones and the Last Crusade. While one could spend more than a day in the park, most people spend a day in the park. Petra is actually an expensive national park to visit at 90 JD ($127 USD) if you plan to simply to day a trip to Petra and then back into Israel or into another country. If you spend at least one night in Jordan, it drops down to 50 JD ($70 USD). If you do spend two days at Petra, the two day pass is only 55 JD and a three day is simply 60 JD. There are no student discounts. When you get to the park, you have to walk through the infamous canyon to get to the treasury (iconic image). You can walk or take a camel. The camel owners will try and get some extra money out of you so make sure you agree on the full price (including tip) ahead of time. It takes just about the same amount of time to walk to the entrance. You can either hire a guide for 50+ JD when you get there or rent an easy guide for 10 JD / day from your hotel. Whether you are there for one day or another day, it is also advised that you travel along the Wadi Muthlim to reach Petra to get a different perspective. You could also the take main trail to Petra and then take this trail out of Petra. This allows you to see Petra from up top. You cannot do this route (or at least advised against it) from November – March due to flash floods and the potential for snakes in the pools. It is recommended that you do this route with a guide because it is possible to get lost. This route will take 2 to 3 hours. After day in Petra, you can hit up a Turkish bath in the area. Petra is an hour north of Wadi Rum. 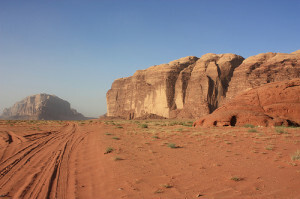 Wadi Rum is a location where most people will spend either a day or two days at the park. Unlike in Petra where a day is most common, I think two days is most common in Wadi Rum. The main attraction is the beauty of the Desert. You can see the park by a four wheel drive vehicle, camel, or simply doing hiking. It is best viewed though on camel or in a four wheel drive vehicle. You can spend a night in a Bedouin camp in the desert. Wadi Rum can be reached via a 6:30 am bus from Petra or via a taxi at a cost of 25 – 30 JD. Wadi Rum is about 70 km north of Aqaba. You can travel to Eilat to visit the Red Sea. You could also do this trip in reverse especially if you are planning to head to Amman or want to head to Jerusalem in Israel. Whether out of curiosity, wanting to party, or to get in touch with their culture roots, Israel is a popular place to travel. You can also travel to Haifa to see the Baha’i Gardens. The beauty of Israel is that most of the locations are in close proximity to one another with the possible exception of Eilat. Eilat is a four hour journey to Tel Aviv, but Tel Aviv is only 1 hour from Jerusalem and only one hour from Haifa. Tel Aviv is the heart beat of Isreal. It has beautiful beaches and a great nightlife. You can also haggle in the Carmel Market. 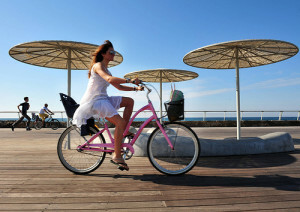 Tel Aviv is worth at least two to three nights (preferably over the weekend). One of the most popular activities is taking a tour of the old city. 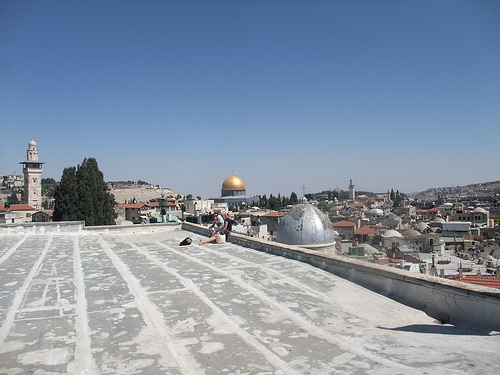 You can also take a trip into the West Bank to see what it is really all about. While you could visit Jerusalem easily as a day trip from Tel Aviv, you could just as easily make it the base of operations for a day. The city of 85K people is located on the Red Sea. This is a resort city. The popular activities here are relaxing in the sun or scuba diving in the red sea. On your way to Eilat, if you could by bus or car, you could stop at the Ramon Crater. The town is four to five hours away from Tel Aviv. You can fly if you don’t mind spending a little money. You can visit Haifa and see the Baha’i Gardens. 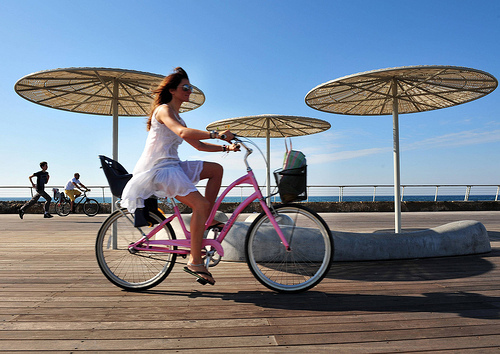 You could also make this a day trip from Tel Aviv since it is only an hour away. 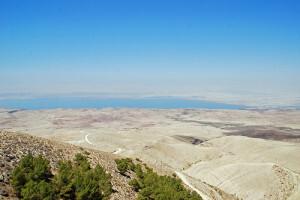 Masada National Park is probably the most popular Dead Sea attraction on the Israel side. If visiting the Dead Sea on the Israeli side, I would add this as a must see location. If I was visiting either of these countries, the odds are that I would both of these locations. I would likely try and do a big circle where I would fly in and out of Tel Aviv and/or Amman based on what gave me the best flight.